The 7th IEEE Global Engineering Education Conference (EDUCON 2016) took place last week in Abu Dhabi, UAE. 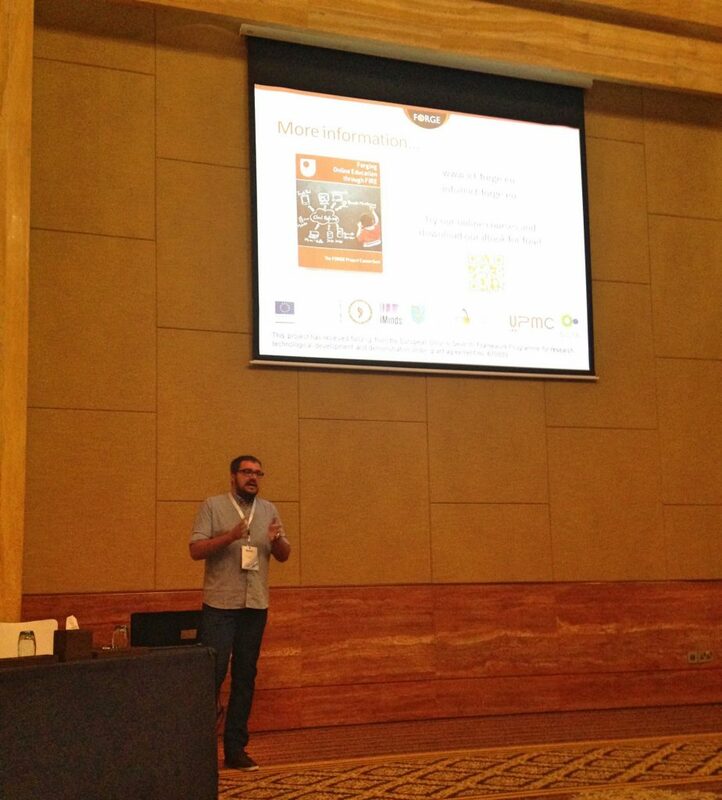 I presented a methodology for the design, delivery and evaluation of learning resources for remote experimentation. This methodology has been developed in the context of the European project FORGE, which promotes online learning using Future Internet Research and Experimentation (FIRE) facilities. FORGE is a step towards turning FIRE into a pan-European educational platform for Future Internet. This will benefit learners and educators by giving them both access to world-class facilities in order to carry out experiments on e.g. new internet protocols. In turn, this supports constructivist and self-regulated learning approaches, through the use of interactive learning resources, such as eBooks. The IEEE Global Engineering Education Conference (EDUCON) 2016 has been the seventh in a series of conferences that rotate among central locations in IEEE Region 8 (Europe, Middle East and North Africa). This is a major event for educators and researchers featuring a wide range of topics, such as Educational Methods and Learning Mechanisms in Engineering Education, Infrastructure and Technologies for Engineering Education, use of ICT in Engineering Education, and more. The conference proceedings will be published by IEEE Education Society Publications.